If Antioch tended to emphasise the humanity of Christ, with the risk of underplaying the humanity, the other great centre of Christian thought at this period, Alexandria, supplied a remedy, although with a risk of downplaying the humanity. The finest theologian of the early Church, Origen (c.185-c.254) was based in Alexandria. His thought emphasised one God, the Monad, as the sole ground and source of all being, material and immaterial alike. The Logos, who is one with the Father but separate from Him, is the mediator between God’s absolute unity and creation’s multiplicity; the Logos is a “secondary God.” The central motif of the Alexandrian school was the emphasis on the deity of Christ, especially as the necessary ground and presupposition of redemption, which was viewed primarily as man’s participation in the divine nature and life through theosis. For Origen, a pre-existent soul was united to the Logos and became inseparable with him as fire and hot iron, and this soul became the meeting point between the infinite Word and human nature (the body). In his exaltation, the Son of Man ceased to be other than the Logos and became identically one with Him. Out of this line of thinking came Athanasius’ emphasis on theosis, but it was also open to the interpretation which Arius put on it – namely that the Son was a creation, the first born of creation. This view, which Arius supported with his own personal reading of Scripture, gained much support, and despite Nicaea in 325 ruling he was wrong, his supporters continued to argue the case for long afterwards. Arius had human logic on his side, which accounts for the success of his ideas. There was only one God, that was the Father. He was greater than the Son (John 14:28), and therefore it followed that Son was a creation – another form of subordinationism. It explained much – but as Athanasius never tired of pointing out, it did not explain how the Logos was in the beginning with God, or how we could be redeemed by a creature. It was the fact that the Logos had become ‘sarx’ which redeemed our sinful flesh. The problem with the Council of Nicaea lay with the use of the non-Scriptural word, homoousios (of one substance) rather than the word preferred by the semi-Arians, homoiousios (of similar substance). If the Son really was, as Nicaea claimed, of the same substance as the Father, the question arose of how that substance related to the human flesh of Jesus. Antioch’s answer, that the Spirit indwelt in the body in a special way was not agreeable to the idea of the preexistent Logos being one with God in the beginning; Alexandria’s answer was not clear on this point, and ran the risk of it being assumed that Christ’s humanity was submerged by the Divinity. Indeed, Apollinarius of Laodicea (d. 390) argued that Jesus Christ had no human mind and that the Logos had taken its place. It was to deal with these problems that the Emperor Theodosius summoned a Council at Constantinople in 381. One of Pusey’s most important sermons is one he gave in 1853 on the Eucharist. It is so long that it will take several posts, but I think those who bear with this will agree the effort is well worth it. We belonged to Him as His creatures. Unutterable was the love whereby, when man was fallen, He took part of all our miseries, except our sins, and the sinfulness of our nature; and these, which He could not take “He took on Himself: what we could not bear, He bare for us. But although we were thereby reconciled to God, as His creatures, we were not yet united to Him individually. We could not be united to Him, save by His communicating Himself to us. This He willed to do by indwelling in us through His Spirit; by making us, through the Sacrament of Baptism, members of His Son; by giving us, through the Holy Eucharist, not in any carnal way, but really and spiritually the Flesh and Blood of the Incarnate Son, whereby ” He dwelleth in us, and we in Him; He is one with us, and we with Him.” Through these, He imparteth to us the life which He Himself is. He, the Life of the world, maketh those alive, in whom He is. This is ”the comfort of the penitent, the joy of the faithful, the Paradise of the holy, the Heaven of those whose conversation is in Heaven, the purity of those who long to be partakers of His holiness, the strengthening of man’s heart, the renewal of the inward man, the fervour of Divine love, spiritual peace, kindled hope, assured faith, burning thankfulness,—that our Lord Jesus Christ, not in figure, but in reality, although a spiritual reality, does give Himself to us, does come to be in us. But nearness to God has also an awful aspect. ” Our God is a consuming fire.” Your consciences, my younger brethren, can best tell you whether your souls are arrayed in the wedding-garment which Christ gives, and which Christ requires in those who would approach to His Heavenly Feast, the wedding-garment of faith and love unfeigned, an upright and holy conversation, cleansed and made pure by the Blood of Christ; or whether, ” grieving the Spirit of God, whereby ye were sealed,” and ” not led by the Spirit of God,” ye are now (God forbid that ye should remain so) ” none of His.” I speak not now of the present, but of the past. Ye yourselves best know, how far ye differ from that past. But no one at any time can have known in any great degree, what were the habits of a large portion of the young in this place, or even the very outward fact, how, when man required it, almost all received the Holy Communion; how few, when God only called, and the young were left to their own consciences,—none can have observed this, without greatly fearing, that if too few are present in the one case, too many are present in the other. Read literally, one can see how some people have reached the hubristic and heretical conclusion that we become gods. But St. Peter is explaining that partaking in the eternal life requires our flight from the corruption that is in the world through lust, esteeming the value of our precious salvation, and holding fast to the divine promises. That the heresy is an old one is shown by the fact that both St. Athanasius and St. Cyril wrote on it. 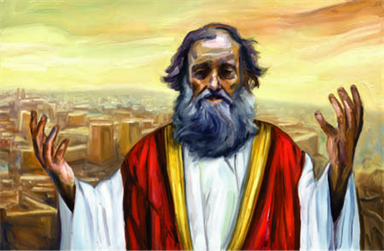 St. Peter himself emphasized this concept in his first epistle by saying, “Rest your hope fully upon the grace that is to be brought to you at the revelation of Jesus Christ; as obedient children, not conforming yourselves to the former lusts, as in your ignorance; but as He who called you is holy, you also be holy in all your conduct, because it is written, “Be holy, for I am holy.” (1 Pet 13-16). The original Greek text should be translated as “partakers of the divine nature”. It never appeared in any language with the preposition “in” which is “en” in the original Greek language in which the epistle was written. It is not possible that any creature partakes in the nature, being, or essence of God. Whoever claims this is caught in a great theological error against the faith in God, and against the superiority of His essence and nature over all creation. This claim is also the type of pride that the devil previously fell into when he said, “I will be like the Most High” (Is 14:14). May we be kept from such an error and such presumption. By saying “partakers of the divine nature” St. Peter simply means that we become partakers with God in His eternal life through partaking in His Holiness, paraphrasing the commandment “Be holy, for I am holy”. Even being partakers of the holiness of God is relative, and not absolute. Perfection of the creation is relative but perfection of God is absolute. Holiness of God is natural and not acquired but our holiness is acquired. To be human is to be Christ-like in the sense that God intended creation to reach its climax in ‘the Word made Flesh’, and so, thanks to His redeeming work the road to theosis is open; for to be human is to be called to an eternal destiny. Through our selfishness and disregard for God’s Law, we have erred and strayed, and the image of Him in us is marred and obscured. Christ’s coming allows that process to be reversed, and we can, once again, attain the eternal destiny. Christians – how do we do it? A priest once said to me that God set us standards He knew we could not meet in this life, but added that the purpose of this was twofold: to show us what we should try to be; and to induce the humility which comes with failure. It was from the same source I first learnt about theosis and the idea that the Christian life is one of gradually being conformed to God, and that the sacraments are a crucial part of the process, and a real help to us on the journey; indeed, he it was who first opened my eyes to the reality that the Christian life was a journey, and that rather than think of it in terms of a court-like judgment at the last, I would be better off thinking of everyday in terms of where I was going, where I had come from, and what I had done to be a little closer to God. It was not that, as a child, I had not listened to what was being preached, or had not read my Bible; being a naturally obedient child, I had done as I was told – and then some. But the plain low-Church style of worship in my home parish in south-west Wales failed to kindle any warmth in me; which may have been why I often felt left out when people used to talk about being ‘saved’. It was only when I went to college and experienced, for the first time, an Anglican High Mass that something suddenly ‘clicked’. Where, for Bosco, the idea of candles, incense and statues are things of horror and marks of the beast, for me, along with beautiful music, they transport me to where I need to be spiritually. I had prayed the Rosary for years by then, but it had always been alone; the Monday lunch-time sessions with other people were a revelation; there was such a good spirit in the room when we prayed together; it opened my eyes to the reality of communal prayer. I had friends who were more Bosco-like in their reaction, and it was odd then, as now, that whilst I could respect their approach, they found it hard to take mine. It was then that I realised that the Lord comes to us where we are, He finds us as we are, and He speaks to us in ways which we will find useful. I had listened to about 14 years worth of sermons by the time I got to university, and I had a good knowledge of the Bible – but a longing for a closeness to Jesus that was unfulfilled however much I prayed. But the first time I attended a High Mass I knew who was there at the Eucharist – I had always known, but somehow it was, and has remained, different. I have always loved that hymn – ‘Immortal, Invisible, God only wise‘ – as it seems to me to capture something of the great mystery of God; poetry and music as much better aids to us here sometimes – ‘in all life thou livest the true life of all’ – we ‘wither and perish, but naught changeth thee.’ We are indeed as mutable as He is immutable: and there comes the challenge for us with His Church. The point Q. is making is that until recently that was exactly what the Catholic Church taught. He then sees it as inconsistent that an infallible church could have got it wrong for centuries. I consider his logic is correct and think Geoffrey agrees with this but that Q’s starting premise is in error. The Catholic Church and its Pope are not infallible just as the rest of us are not. However it is very difficult for an institution that has claimed infallibility to revise its opinions or correct its errors. The Church is not, and never has claimed to be infallible; although the same cannot always, perhaps, be said of some of its members. The Church is neither a building nor an abstraction, and whilst we rightly refer to it as the body of Christ, and the bride of Christ, these are metaphors – we are the church; we are also fallen mankind, in need of the Saviour’s redeeming blood, and although saved, and in the process of being saved by it, we have not yet reached the stage of theosis where we can see as God sees. The Roman Catholic Church does not teach that the Pope is infallible in all things, or even most, or many things. He is infallible only under certain conditions, and none of those are to do when he is speaking or writing in a personal capacity; the Church, too, is infallible only in the same degree. Thus, when speaking from the Chair of St Peter as the Pope on matters of faith and doctrine, the Pope is protected by the charism of the Spirit from speaking error. Thus, when he says, with the approval of the bishops, that Our Blessed Lady was assumed bodily into heaven, or that she was conceived immaculately, then Catholics are bound to believe these things, for they can be found in the teaching of the Church, and have been declared so at this time because the impious or the mistaken questioned them; they are not new truths, they are ancient ones. It is a common enough error to suppose that the Roman Catholic Church has claimed infallibility, but it has not. It has claimed, and does claim, that within it is to be found the ‘fullness of the faith’, and has certainly taught that it, and it alone is in this sense the ‘real’ Church, and that other churches are ‘valid’ in so far as they have within them true Catholic teaching; but it is bound to believe that separation from communion with Rome deprives other churches or ‘ecclesial communities’ of that ‘fullness’ which it alone possesses. On that it would be improper for those not in communion with Rome to comment, save to say that it is as entitled to its opinion as any other Church. To that, I shall return in a second post later. One of the pleasures of answering the ‘Easter Challenge’ was that it plunged me back into parts of Scripture which I do not usually read this time of the year; that was refreshing, and a reminder that good though it is to follow a lectionary, there is something to be said for reading other parts of Scripture at all times. But there was something else too. We are so used to reading Scripture with our intellects, that we (maybe I mean just me?) forget that it is testimony to the great event which transformed history – the Risen Lord. Whilst reading the narratives closely to understand the differences and, where necessary, reconcile them, it was impossible not to be struck by the force of what had happened that first Easter Sunday. It was a point where our language and the Infinite collided, and I had a real sense of the Evangelists trying to capture something they knew in their experience, but which was hard to put into words. Words are things worn smooth with everyday use, and here was something which was not only not usual, it was unique. It was the moment at which the Evangelists began to make sense of what Jesus had said about the Temple being destroyed and rebuild in three days; the point at which what had been obscure began to be clear – but not as clear as it would become at the first Pentecost. There is, about the narratives, an air, still, an air of bafflement, of an incomprehension which is beginning to shift, but hasn’t quite. Was it significant that it was the women who saw and immediately believed, whilst it was the men who, for all their speed, took more time to comprehend? Mary Magdalene recognised the Risen Lord by His voice, it was not the visual, but the aural memory which prompted her knowing who it was who was speaking to her. We can see from the Gospels her love for Jesus, instinctively she anointed Him, as for death, that first Maundy Thursday, and in her grief her eyes were blind; but her ears heard and responded to His voice; His sheep knew the voice of the Master. In that there is a lesson for us, too, and that is that for all our study of Scripture, for all our need to give a reason for the hope that is in us, it is the hope itself – the Grace God gives us, which turns us to Him. Much though I love my Bible, it is in prayer, and most of all at the breaking of the bread and the serving of the wine that I encounter Him. I cannot say, with Bosco, that He tells me what to do, but I feel HIm at that moment and know He is in me as the bread and wine are His body and His blood. How this is, I know not, and really don’t need an explanation for that feeling that is in me at that moment and immediately after. Mary knew Him by His voice, we know Him by His body and His blood – and in the stories of that first easter, we can capture the awe, the wonder, and the rekindled hope that remains with us, now, and until He comes again in Glory. My point in writing about indulgences and merit was not to say that Catholics teach a works-based salvation, but that the way in which these things are discussed gives rise to that suspicion, although it is wrong. It drew forth, as these things do, the frequent Catholic response that those in the Reformed Tradition believe in ‘Sola Fide’ – that is salvation by faith alone. That, it turn, drew from Rob one of the best short definitions of what it is the Reformed Tradition teaches in yesterday’s post on Faith and Works. Yes, he was, as we all are, blind, blind to his sin, and to the sin of the world, and like so many, he persevered in that darkness for many a long year. His life story, if invented by an author of fiction, would have been rejected by the editor on the ground of sheer improbability. The working out of Grace in Newton took a lifetime, as it does, I believe, with us all. Although his eyes and heart were opened, he did not see all at once all the God wanted from him, neither did he see all that later he would have wished. But that Grace kept working in him, and in the hymn there were echoes of the parable of the prodigal – he who was dead is alive, he who was lost, is found. Newton had no doubt where the credit lay, and for all of us, it is the same. Commenting on yesterday’s post about Love and God, my dear friend Servus Fidelis raised a point which has long fascinated me, but which I have not been able to bring into focus. I am not sure I can now, but with the help of his comments, I can at least raise it and see what others think. I have often pondered the problem of how a God who is love can show the kind of wrath we see in the Old Testament, and have sometimes wondered whether what was happening here was that the writers were speaking about God in the way they would have expected Him to act. There was clearly something not working with the way in which those Jews understood their God, as even when the Messiah came, because He did not conform to what they expected (that he would lead Israel to freedom and crush all her enemies under his feet), they killed Him and persecuted His followers. Paul was one such – until a deeply personal revelation showed Him the true nature of the Messiah. So, if they could get that wrong, why not stuff like ‘anger’ and ‘wrath’? That brings up the limitations in our human imagination and language. The strange thing about speaking in human terms about the emotions of God is the fact that through Christ becoming incarnate, God has transformed Himself and is capable of human emotions, as Christ is Truly God and Truly Man. Where He resides outside of time was this always present to the Mind of God as well? How else can the ineffable make Himself known to the mere finite creatures of this world? How else are we to relate to such a One as our Creator through Love instead of abject fear? God does not change. The Word became flesh and dwelt among us. We are made in God’s image. If I were cleverer, I think I would be able to articulate the connection between these things. It seems to me if we are made in His image, then we see in the enfleshed Word ourselves as we truly can be, and since God changeth not, we see in ourselves as we are meant to be (Christ) the reflection of God. But how are we conformed to that image? Why, through Christ. It is that process St Athanasius called ‘theosis’. … where the will is conformed to the Good and the soul desires to be with God, it is the mystical saints who tell us of the purgation of both sense and spirit that must take place before union with God. It can be done here as some of them have done or it may be done in some other manner after or at the moment of death: but transformation must take place nonetheless. They speak of the purgation in opposing terms: as painful and penitential suffering and also as the sweetness of God who is lovingly leading them to abandonment of all for union with Him. So in like manner, it seems to me, that one dies to self and to the world or they die to the Heavenly Kingdom. We put on the New Adam, but the process of discarding the old is painful, because it means struggling against whole sets of emotions and inclinations which are, in our fallen state, ‘natural’. Who, indeed, can endure the day of his coming? – he is like the refiner’s fire, and all impurities shall be burned out. This could be, and has been, taken literally, but it seems better to take it as a metaphor for what we experience as our will is conformed more closely to God’s will. But that’s my take – I think – what’s your’s? Sin is natural to us in our fallen state. Indeed, our first parents had the propensity otherwise there would have been no fall. They fell through pride in themselves. They wanted to be God-like themselves; they presumed on their own powers. But God, who turns all things to good, can turn that to good too. When we come to Him in repentance and belief, He does not simply say that all is fine, and whatever we do hereafter is of no concern, not a bit of it. His Grace works in us to make us want to make that repentance and belief something more than words; we can’t help it. We possess, in full, the free-will to continue to sin, and the idea that we can recover full control over our faculties, whilst a nice one, is not, in my experience, the case. But we can, and do, and must, strive with His aid to be what He sees us to be. And here, perhaps, the great mystery of Christian division may find some explanation – for how we come to Him is various, perhaps as various as we are ourselves, and what we need to stand in Him differs too. Some will find what they seek and need in a church where the liturgy and the music lift their soul to Him; others will find it in a church where these things are more attuned to the world they know; some will find a simple and child-like faith enough (and how blessed they are), others will torment themselves or be tormented by the things which have done that to generations of Christians, and will anchor their faith in the rootedness of the Apostles. Some, there are, who will rejoice in being part of a church with a clear lineal descent to those Apostles; others will think it more important to have a church which works on the same principles of the Apostles. We can, and we do, spent time scoring points off each other; naturally each thinks the way he has chosen or had chosen him is the best – of course it is so, why otherwise rest with Christ in that place? He has given us the Grace to seek Him out, because He first sought us. We can read that as a call to a small elect, predestined to be saved, or we can read it as a call to all, which some will reject, but we can all rejoice in the gift He gives us of coming into His service. There, and there alone we find perfect freedom; there and there alone are we truly aware of what is natural in the sense that it appertains to God’s law and the image of Him in which we are made. To us, His children, He has given these things. But like our first parents, we are ruled by our own pride, we know better, and we have a set of arguments to show He does not exist, or that His laws are compatible with our sinful wishes. Well, when He asks us why we have done what is ill in His sight, my intention os to throw myself on the mercy of the Blood of the Lamb and that alone – I shall not blame the woman or Satan, I will accept my sins and trust in Christ’s stoning sacrifice. For much of this week I have been traversing the confines of a narrow mind and understanding, and showing how, through Grace, these things were widened. Much divides us, but where I don’t find a problem is where our traditions have located it for so long – in the issues of works and faith and their relationship to salvation. James and Paul do not disagree on works and faith, they simply mean slightly different things. Faith is not like an apple, it has two meanings, one narrow, the other broad: the narrow one is what is called intellectual assent: do we believe in Jesus? Is this intellectual assent enough to secure salvation; yes, if by salvation we mean that we are justified in the eyes of God. But there is a broader meaning to the word faith, that is inviting God into your life. There is no great intellectual trial here – the Good Thief had it on the Cross and he was received into paradise. 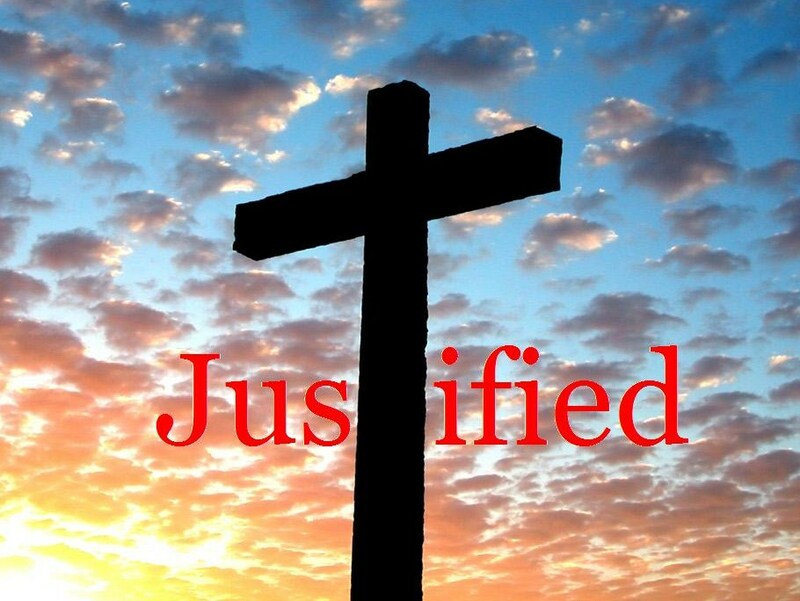 But justification is not the same as sanctification – and becoming a Saint is the purpose of our life in Christ. So, Paul is right, and so is James. There is not a single effort of our own which will justify us in the eyes of God; but we shall not be sanctified without our own efforts. Christ’s blood does what we cannot in any wise do – justifies us in the eyes of God. Sanctification is the process of Grace operating in us to make us more and more like Christ, so yes, if there is no faith there will be no works as a result of it: ‘For it is God which worketh in you both to will and to do of his good pleasure.’ The justified person is actively involved in submitting to God’s will, resisting sin, seeking holiness, and working to be more godly. The Scriptures teach us that we are to live holy lives and avoid sin (Col. 1:5-11). Just because we are saved and eternally justified before God (John 10:28), that is no excuse to continue in the sin from which we were saved. Of course, we all sin (Rom. 3:23). But the war between the saved and sin is continuous (Rom. 7:14-20) and it won’t be until the return of Jesus that we will be delivered from this body of death (Rom. 7:24). Salvation is by Grace alone, and it is through Grace we receive the gift of faith. I have no idea why I am able to believe. I have tested the hope that is within me for about fifty-five years, but not a thousand difficulties has given me a single doubt. This is no merit to me, it is a cause for me to thank God for his infinite mercy to this and all other sinners.